Mezco Toyz Burst-A-Box featuring Chucky, the homicidal doll from Bride of Chucky with scarred head sculpt and signature clothing. 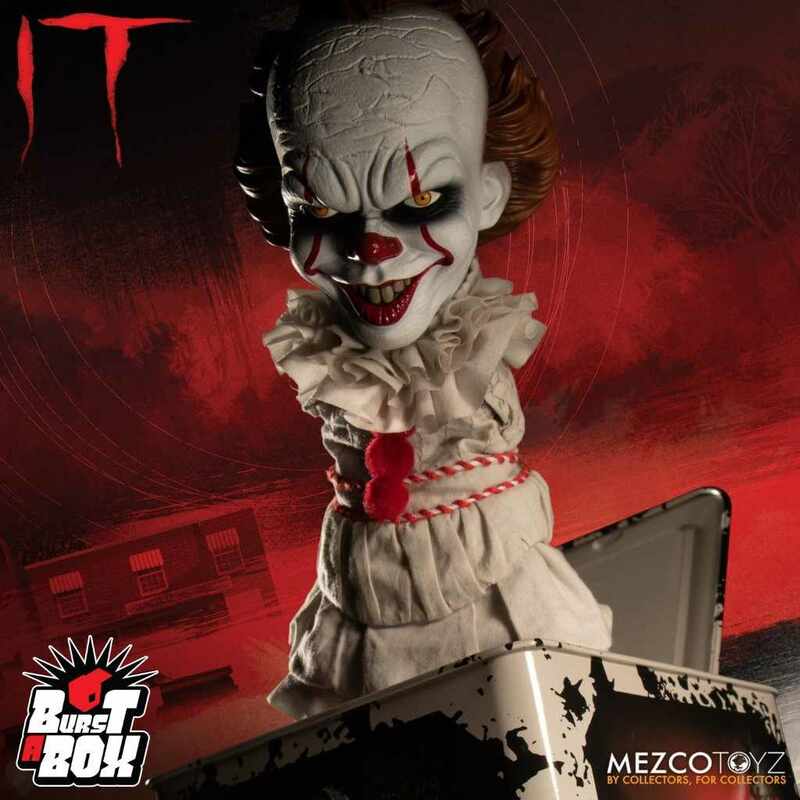 Based on the classic Jack-In-The-Box toys, this Mezco Toyz Burst-A-Box features the 2017 version of IT Pennywise, the red balloon-toting, demonic clown that terrorizes the children of Derry. 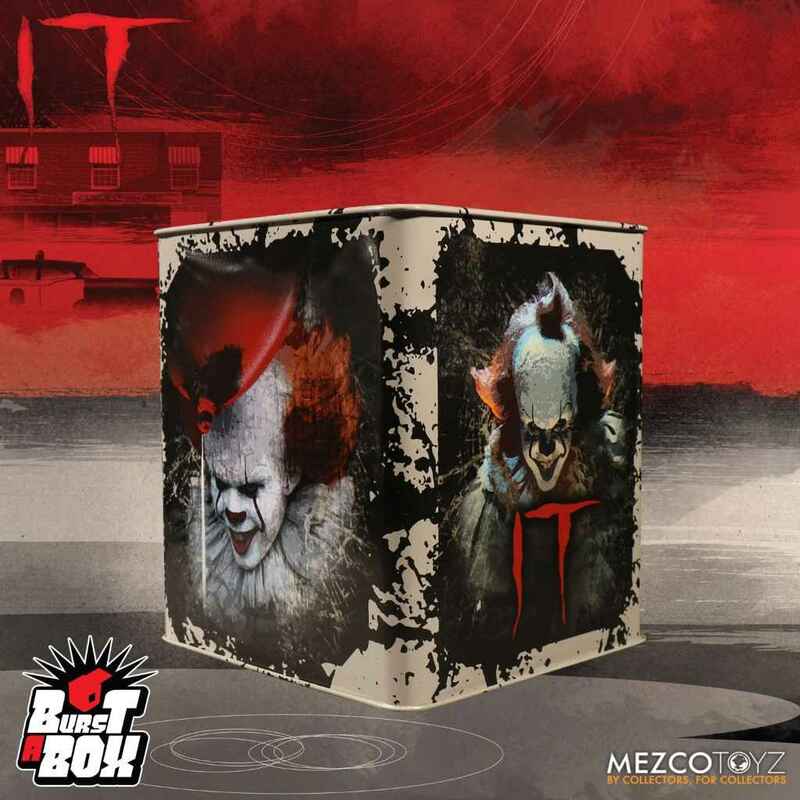 Mezco Toyz have taken the classic and beloved Jack-In-The-Box toy and infused this with current Pop Culture. 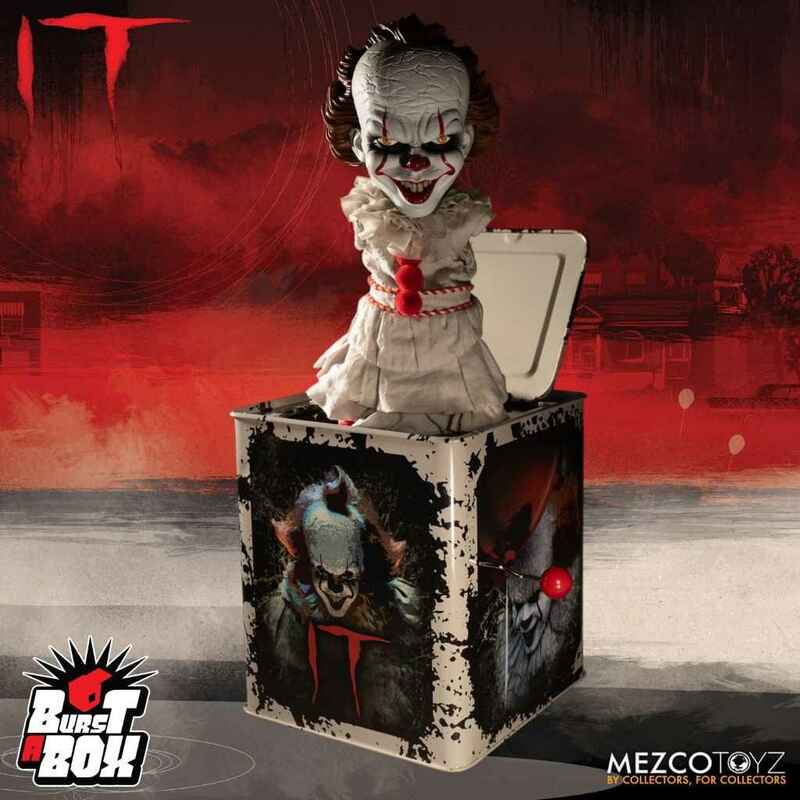 Once the clothed and detailed sculpt of Pennywise springs out of the detailed tin music box, the total height is approximately 14" tall. 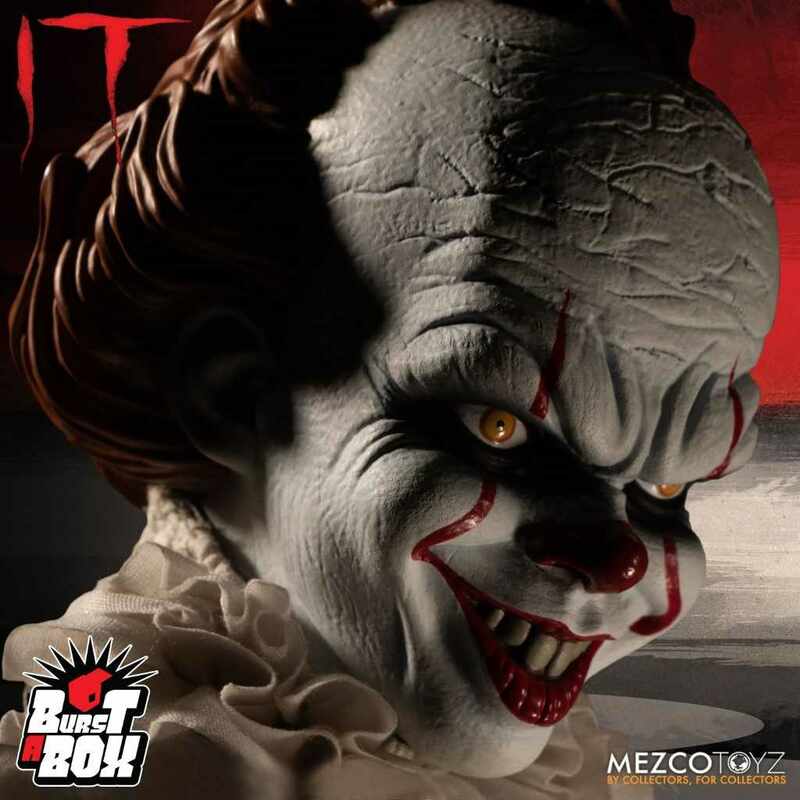 Based on his appearance in the 2017 version of the film IT, Pennywise has a detailed head sculpt with menacing grin and also features his signature clown suit. Comes packaged popped-out of his tin and is perfect for display in a collector-friendly window box.